This picture shows how the deluxe #1915 Police boots have doubled ankle seams available only from Friedson Bros. Fine Boots. 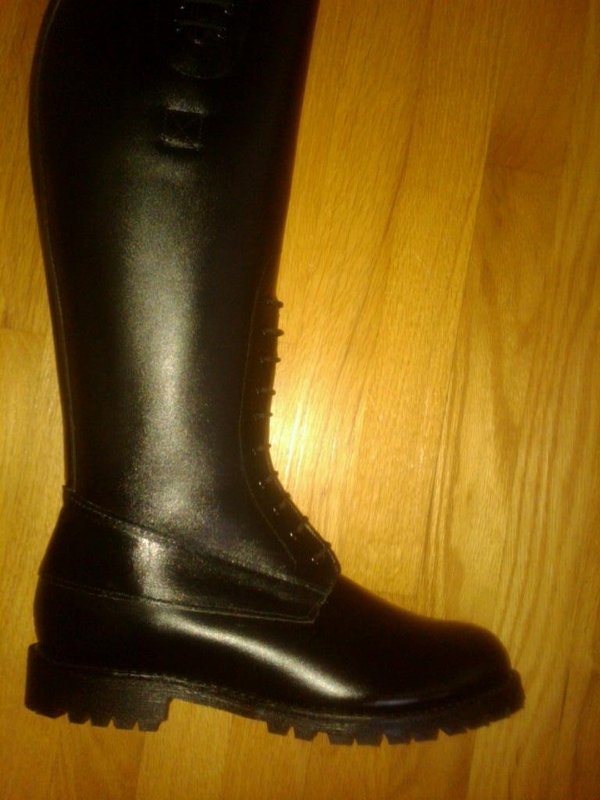 These Police boots are handmade here in the USA with genuine leather inside and out! The whole boot leg and foot is thick, strong GENUINE LEATHER! Overstock #1915 Deluxe Boot: with additional sealed-seam ankle reinforcement for a more water-resistant boot, regularly $895..…. NOW $495! Measure around the widest part of your calf and the height from the bottom of your knee cap to the ground. Call us toll free at 1-800-888-8721 when you have a tape measure available if you are not sure.